Many restaurants in Tel Aviv serve authentic Latin and South American cuisine, thanks to the influx of immigrants from South and Central America. 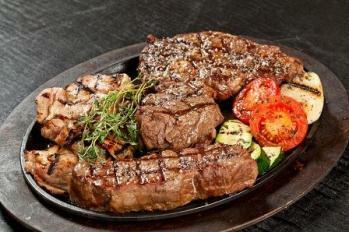 Meat-lovers can savor freshly grilled, quality cuts of meats at Argentinian and Brazilian restaurants. There are also some new and interesting Latin-inspired and Mexican eateries that you can enjoy. 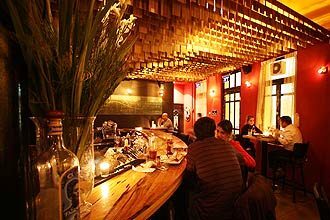 Here’s a list of my six favorite restaurants serving Latin and South American cuisine for you to choose from. This is my personal favorite. I think it’s the best for South American cuisine and incredible cuts of aged meat, but make sure to come hungry! Butchery de Bariloche is a one-of-a-kind Argentinian restaurant dedicated to Bariloche, a small city in Argentina that is famous for its ski resorts and chocolate shops. 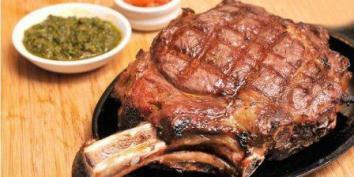 The restaurant specializes in Argentinian meats, wine, chocolate and ice-cream. I can’t think of a more mouth-watering combination. Listen up – for 25 Shekel per person, you can drink as much as you want of the delicious house wine, a combination of Cabernet and Petite Sirah! After sipping from the house wine and nibbling on pieces of chocolate shavings that are freshly cut from large chocolate slabs, you’re led to the butchery where you can choose your cut of aged meats, kebabs or chorizos. Don’t worry if you’re not familiar with the different cuts - the butcher is happy to answer your questions so that you can make the best choice that suits you. If you aren’t full after that, you can choose from homemade ice cream or chocolate desserts. Butchery de Bariloche is not cheap, but well worth it. Business lunches are reasonably priced on Sun. – Thurs. from 12 noon to 4:30 PM. Unfortunately, this excellent chef restaurant was recently closed. In the heart of busy Lillenblum Street, this chef-run restaurant is Latin-inspired rather than traditional South American cuisine, but the atmosphere is groovy and the food is grand. Try the the Brazilian Feijoada, a hearty stew made with veal, chorizos, root vegetables and polenta. If you like paella they have two kinds: classic seafood-saffron or chicken with smoked chili peppers. Frida Kalo is one of the few restaurants offering a Saturday special that includes an appetizer, main entrée, bread and a non alcoholic beverage for 50-100 shekel depending on the your choice of meal. Great value and Great food. 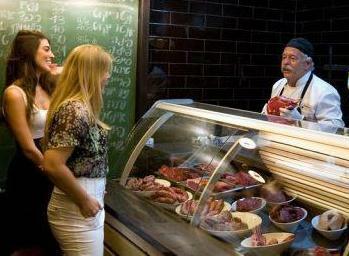 Papagaio is a popular chain of restaurants in Israel specializing in Brazilian style meat – and lots of it. You can order an all-you-can-eat “Brazilian” table and unlimited quantities of a variety of skewered meats are repeatedly brought to the table for you to choose from. All the food is kosher. For additional kosher restaurants, visit our page on the eating kosher in Tel Aviv. Casa Nova is a chef-run restaurant serving first rate Nuevo Latino and South American cuisine. 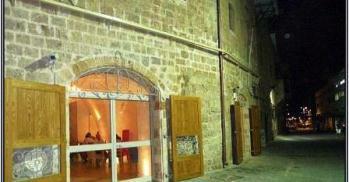 The restaurant is in a refurbished historical Franciscan stone building built in the 17th century as a hostel for Christian travelers overlooking the sea in the Jaffa Port. The modern, colorful decor contrasts beautifully with the original stone arches. One of their specialties is an assortment of mouth-watering Ceviche typical of Central and South American cuisine. Ceviche is fresh raw fish marinated in lemon, lime or orange juice and can be flavored with a variety of spices such as: cilantro, onion, avocado, corn, chili peppers, and more. They are delicious here! The menu focuses on fish and seaood, but there are also a few delectable chicken and meat dishes. I enjoyed the Jamaican chicken jerky flavored with a really tasty mango-coconut-chili pepper sauce. And compared to other chef run restaurants, Casa Nova is reasonably priced. Try it. 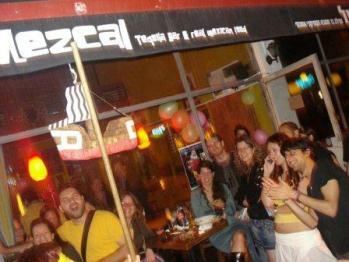 Mescal is a lively Mexican restaurant and bar located in hip Florentine. There are often live shows here on weekend nights. 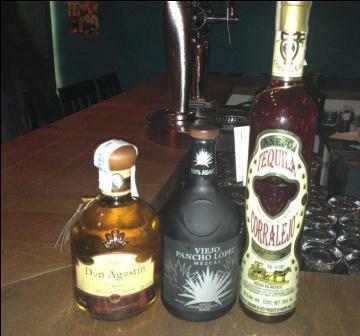 Mescal serves excellent and authentic Mexican food, alongside an amazing selection of drinks and over 40 types of tequilas! 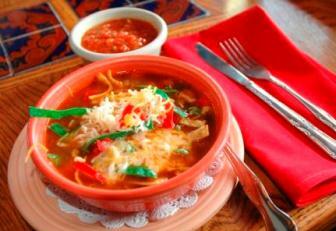 They take pride in their freshly made dishes with authentic Mexican ingredients. They grow locally different varieties of Mexican chili peppers. All the tacos and tortillas are handmade with cornmeal and are just divine. Mexicana is the perfect place while in Israel if you miss American-style Mexican food that we all love. There is a wide variety of tacos, burritos, fajitas tortillas, enchiladas and more, served with Mexican side dishes of guacamole, bean sauce, mole sauces, chili peppers and more. Alongside your favorite margarita, of course! You may have been wondering why two Mexican restaurants are featured in our page on South American cuisine? Well, in Israel it is! Anything edible south of the U.S. is considered South American cuisine.